The real issues in housing the world over, and also India, have less to do with access to finance and more to do with property rights. In his New Year’s Eve address, Prime Minister Narendra Modi announced major concessions related to housing for low income groups. 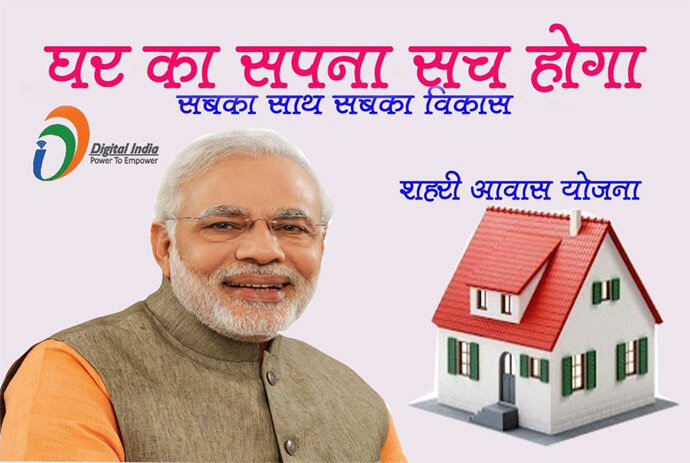 However, a review of Modi’s ambitious housing programme Pradhan Mantri Awas Yojana (PMAY), 18 months after it was launched on June 25, 2015 - with the stated purpose of constructing two crore houses for the urban poor by 2022 at the rate of 30 lakh houses per year - shows that the programme is moving at a glacial pace and doesn’t appear to have the power to change the game in the housing space. The prime minister's “Housing for All” agenda needs to rework the paradigm for making its vision a reality, else it will remain just another pipe dream. The real issues in housing the world over, and also India, have less to do with access to finance and more to do with property rights. A reform in land rights is an important prerequisite for ushering in a housing revolution. A decent habitat and shelter environment for the poorer sections of society can not only contribute towards their well-being and real asset creation, but also catalyse overall economic growth. It is thus critical to recognise housing investment as a basic, fundamental building block of economic activity. There is little more critical to a family’s quality of life than a healthy, safe living space. Priority for housing is higher than education and health. Sustainable and inclusive housing solutions, indeed, could bolster economic growth quickly and efficiently. Modi’s housing programme Pradhan Mantri Awas Yojana is moving at a glacial pace and doesn’t appear to have the power to change the game in the housing space. UN Habitat estimates indicate that there is need for 2 million new homes every year in India and a total of 40 million homes that need to be improved to provide safe, sanitary and permanent housing. However, the greatest need is faced by those households that are informally employed and informally housed. The key constraint in providing shelter is that people do not have proof of being owners of the piece of land on which they live. This keeps them deprived of many basic amenities. Once titled, they could obtain access to several government benefits. Even a small plot can lift a family out of extreme poverty. In poor urban areas, many people who live in slums have little to no control or ownership over the property they live on. Many informal settlements in cities are illegal and unfinanced, leaving poor people on poor property with no chance of improving their state. These households cannot provide mortgage-able collateral for a loan and cannot provide third-party documentation of their earnings. The formal financial sector is unable to serve them. Excluded from formal financing, many households delay or are unable to make investments into housing. The impact of this lack of investment has myriad social and economic implications: poor health, longer work hours, overcrowding, and distraction from education. When people have secure land, they invest in improvement projects, work more hours without fear of land theft, and are more likely to take loans using their new property as security. Everyone needs a little bit of land to call “home”. When people have secure land, they invest in improvement projects, work more hours without fear of land theft, and are more likely to take out loans using their new property as collateral. Scholars have even found increase in school attendance after a family gains land security. In fact, property rights are the gateway to other social improvements. Whether it is gender equality, food security, environmental issues, conflict, economic development, or education - investing in land rights is foundational. In recent years, social entrepreneurs have been doing extensive work in India on ways to equip the poor with better and more secure rights to ownership of land. If the government’s housing programmes work in tandem with them, the synergy can accelerate the journey towards addressing what is certainly the most critical problem for the world - homelessness. Providing shelter is the most powerful weapon for banishing poverty. The most revolutionary advocacy approach is being led in India by Omidyar Network founded by Pierre Omidyar of eBay fame. The Omidyar Network and its partners strive in three ways to make land tenure more secure. 1) They conduct research on land tenure’s effects. More data and information make it easier to justify and plan transitions to secure property rights. 2) The Omidyar Network and its partners provide legal consultation and support for government officials willing to make improvements in legally vulnerable communities. They often do this indirectly through organisations like Landesa, a Seattle-based non-profit that has established relationships with local policymakers in many states across India. Thus far, more than 9,00,000 Indian families have benefitted from Landesa’s legal work. 3) The Omidyar Network and its partners educate communities on the possibilities of land rights, since legal systems often seem inaccessible to people who cannot read or cannot read well. India’s housing space - particularly the lower tier in the economic pyramid - has remained largely unaddressed as many tried and found it a hard ground. Lack of proper documentary rights is a major obstacle as many families may not have had documentation for generations and the process of obtaining and putting it in place is an impossible mission to accomplish without a nimble titling, mortgaging and financing system. - Governments should improve the legal and regulatory environment related to housing and increase the supply of affordable, legal shelter with tenure security and access to basic services and amenities. - Security of tenure and access to land for housing are complexly interwoven with a country’s history, culture and economy; thus workable and affordable solutions need to be contextualised. - The government should undertake physical upgradation of informal settlements. Informal urban settlements can be provided open public space, water, sanitation and power networks. These services create a high level of perceived tenure security without a formal change of legal status and have encouraged local improvements and investment. - In other cases, successfully integrated outlying informal settlements through a process of mutual compromise can bring unplanned settlement into acceptable relation with the planning norms. The process can help in the regularisation of title in exchange for adherence to agreed urban planning guidelines. - Governments should officially recognise slums or informal settlements. 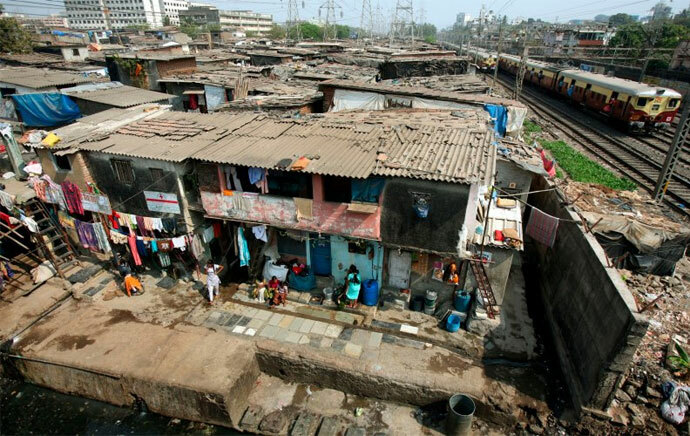 In India, slums classified as “unobjectionable” are eligible for upgrading. “Objectionable” slums are those in non-residential zones, on low-lying lands, or where roads and other public infrastructure have been proposed. All residents in unobjectionable settlements have basic form of tenure, which is sometimes accompanied by the provision of public services, such as access roads, electricity, water supply and sanitation. Several efforts are being made in India to address the problem of titling and mortgaging of land, which is necessary for access to housing finance. Typically, the poor are granted land from the government or live on land passed down to them by their ancestors. These are known as “para-legal titles”. Many of them may not have a full land title but possess a documentary right to ownership, such as tax receipts and legal protection from eviction. Several state governments in India have provided a degree of tenure security to poor households by granting residents of unauthorised settlements specific period licences to their land or an official assurance that the user will not be forced to vacate the property and evidence that usual and customary local practices support this assurance. This security amounts to “presumed ownership”. A watershed attempt is the Swarna Pragati model conceived by Ramesh Kumar, who was the brain behind the National Rural Habitat Policy for India. His model uses the panchayat for building public and community endorsed titles to land ownership. It has helped thousands of families realise their aspirations of a decent habitat through access to housing finance. If we cast a fresh look at successful social programmes, we find a compelling message. A lot of good programmes got their start when one individual looked at a familiar landscape in a fresh way. But several of these programmes were difficult to scale up. We increasingly have the tools to combat it. We know what to do if we can just summon the political will.